As a person living with dry to extra dry skin depending on which season of the year, I love a good facial cream that has special ingredients to moisturize and protect my facial skin!! 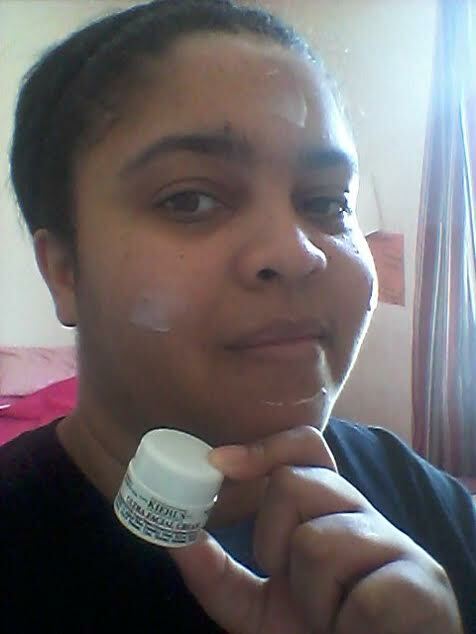 I tried this sample of Kiehl's Ultra Facial Cream from #Birchbox for my face both morning and night!! After using it for one day my skin feels moisturized without feeling that I have to "reapply" and no visible dry patches! It also makes a great night cream which my skin feel refresh and hydrated in the morning esp my dry lips and dry areas on my face! This cream contains several beneficial oils including #Apricot , #Olive, #Avocado, #RiceBran , and #Almond !! Unfortunately, its moderate/luxe skincare line is not natural nor organic because I read it has parabens, phenos, EDTA, and other not so good for your ingredients! But regardless, Kiehl's has been founded in 1851 and still has a cult following today!! I would still recommend trying Kiehl's Ultra Facial Cream for your dry facial skin today!